Kurdish Jews (Hebrew:................; Yehudei Kurdistan Kurdish: Kurdên Cihû) are the ancient Jewish communities inhabiting Kurdistan. Their clothing and culture is similar to neighbouring Muslim Kurds. Until their immigration to Israel in the 1940s and early 1950s, the Jews of Kurdistan lived as closed ethnic communities. History There are old bonds between Jews and Kurds. Tradition holds that Jews first arrived in the area of modern Kurdistan after the Assyrian conquest of the Kingdom of Israel during the 8th century BC; they were subsequently relocated to the Assyrian capital. During the first century BC, the royal house of Adiabene, whose capital was Arbil (Aramaic: Arbala; Kurdish: Hewlêr), was converted to Judaism. King Monobazes, his queen Helena, and his son and successor Izates are recorded as the first proselytes. According to the memoirs of Benjamin of Tudela and Pethahiah of Regensburg, there were about 100 Jewish settlements and substantial Jewish population in Kurdistan in 12th century. Benjamin of Tudela also gives the account of David Alroi, the messianic leader from central Kurdistan, who rebelled against the king of Persia and had plans to lead the Jews back to Jerusalem. These travellers also report of well-established and wealthy Jewish communities in Mosul, which was the commercial and spiritual center of Kurdistan. Many Jews fearful of approaching crusaders, had fled from Syria and Palestine to Babylonia and Kurdistan. The Jews of Mosul enjoyed some degree of autonomy over managing their own community. Tanna'it Asenath Barzani, who lived in Mosul from 1590 to 1670, was the daughter of Rabbi Samuel Barzani of Kurdistan. She later married Jacob Mizrahi Rabbi of Amadiyah (in Iraqi Kurdistan) who lectured at a yeshiva. She was famous for her knowledge of the Torah, Talmud, Kabbalah and Jewish law. After the early death of her husband, she became the head of the yeshiva at Amadiyah, and eventually was recognized as the chief instructor of Torah in Kurdistan. She was called tanna'it (female Talmudic scholar), practiced mysticism, and was reputed to have known the secret names of God. Asenath is also well known for her poetry and excellent command of the Hebrew language. She wrote a long poem of lament and petition in the traditional rhymed metrical form. Her poems are among the few examples of the early modern Hebrew texts written by women. Among the most important Jewish shrines in Kurdistan are the tombs of Biblical prophets, such as that of Nahum in Alikush, Jonah in Nabi Yunis (ancient Nineveh), and Daniel in Kirkuk. There are also several caves supposedly visited by Elijah. All are venerated by Jews today. Kurdish Jews have also been active in the Zionist movement. One of the most famous members of Lehi (Freedom Fighters of Israel) was Moshe Barazani, whose family immigrated from Iraqi Kurdistan and settled in Jerusalem in the late 1920s. Important in the preservation of their traditions and especially their language, Aramaic, after migration was the work of Yona Sabar. 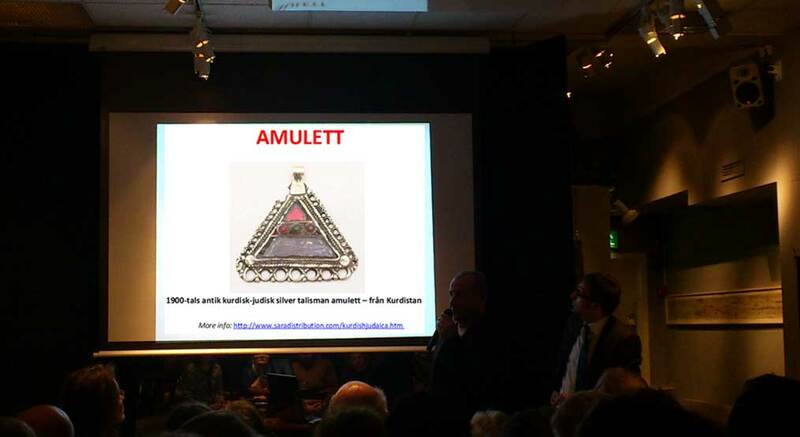 Recently, an important book came out, describing the interactions of the Jewish population in Kurdish towns and villages and their Muslim Kurdish neighbors and tribal masters, or chieftains (aghas) during the last few centuries and especially during the first half of the 20th century. 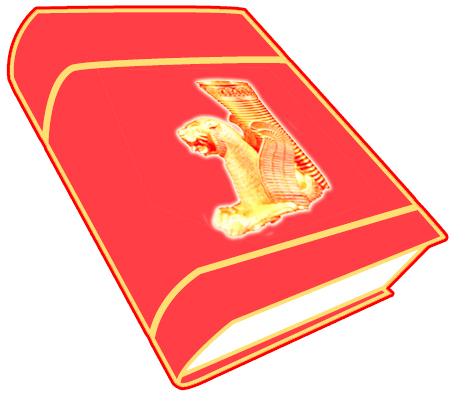 The history of Judaism in Kurdistan The history of Judaism in Kurdistan is ancient. The Talmud holds that Jewish deportees were settled in Kurdistan 2800 years ago by the Assyrian king Shalmaneser Ill (r. 858-824 BC). As indicated in the Talmud, the Jews eventually were given permission by the rabbinic authorities to convert local Kurds. They were exceptionally successful in their endeavor. Kurdish Jews trace their history back to the conversion of Queen Helene of Adiabene The illustrious Kurdish royal house of Adiabene, with Arbil as its capital, was converted to Judaism in the course of the 1st century BC, along with, it appears, a large number of Kurdish citizens in the kingdom (see Irbil/Arbil in Encyclopaedia Judaica). The name of the Kurdish king Monobazes (related etymologically to the name of the ancient Mannaeans), his queen Helena, and his son and successor Izates (derived from yazata, "angel"), are preserved as the first proselytes of this royal house (Ginzberg 1968, VI.412). But this is chronologically untenable as Monobazes' effective rule began only in AD 18. In fact during the Roman conquest of Judea and Samaria (68-67 BC), it was only Kurdish Adiabene that sent provisions and troops to the rescue of the beseiged Galilee (Grayzel 1968, 163)-an inexplicable act if Adiabene was not already Jewish (see Classical History). Many modern Jewish historians like Kahle (1959), who believes Adiabene was Jewish by the middle of the 1st century BC, and Neusner (1986), who goes for the middle of the lst century AD, have tried unsuccessfully to reconcile this chronolgical discrepancy. All agree that by the beginning of the 2nd century AD, at any rate, Judaism was firmly established in central Kurdistan. Like many other Jewish communities, Christianity found Adiabene a fertile ground for conversion in the course of 4th and 5th centuries. Despite this, Jews remained a populous group in Kurdistan until the middle of the present century and the creation of the state of Israel. At home and in the synagogues, Kurdish Jews speak a form of ancient Aramaic called Suriy,4ni (i.e., "Assyrian"), and in commerce and the larger society they speak Kurdish. Many aspects of Kurdish and Jewish life and culture have become so intertwined that some of the most popular folk stories accounting for Kurdish ethnic origins connect them with the Jews. Some maintain that the Kurds sprang from one of the lost tribes of Israel, while others assert that the Kurds emerged through an episode involving King Solomon and the genies under his command (see Folklore & Folk Tales). The relative freedom of Kurdish women among the Kurdish Jews led in the 17th century to the ordination of the first woman rabbi, Rabbi Asenath B5rzani, the daughter of the illustrious Rabbi Samuel Bârzâni (d. ca. 1630), who founded many Judaic schools and seminaries in Kurdistan. For her was coined the term tanna'ith, the feminine form for a Talmudic scholar. Eventually, MAMA ("Lady") Asenath became the head of the prestigious Judaic academy at Mosul (Mann 1932). The tombs of Biblical prophets like Nahum in Alikush, Jonah in Nabi Yunis (ancient Nineveh), Daniel in Kirkuk, Habakkuk in Tuisirkan, and Queen Esther and Mordechai in Hamadân, and several caves reportedly visited by Elijah are among the most important Jewish shrines in Kurdistan and are venerated by all Jews today. The Alliance Isra6lite Universelle opened schools and many other facilities in Kurdistan for education and fostered progress among the Jewish Kurds as early as 1906 (Cuenca 1960). Non-Jewish Kurds also benefitted vastly, since children were accepted into these schools regardless of their religious affiliation. A new class of educated and well-trained citizens was being founded in Kurdistan. Operations of the Alliance continued until soon after the creation of Israel. Many Kurdish Jews have recently emigrated to Israel. However, they live in their own neighborhoods in Israel and still celebrate Kurdish life and culture, including Kurdish festivals, costumes, and music in some of its most original forms. ***** Jews have lived in Kurdistan hundreds of years, before the final and mass migration in 1951-1952 to Israel. The Jews lived under the Ottoman Empire and under the Persian Empire for many years and following World War I, they lived mainly in Iraq, Iran and Turkey, some lived in Syria. Jews lived in many Kurdish urban centers such as Aqra, Dohuk, Arbil, Zakho, Sulaimaniya, Amadia, in Iraqi Kurdistan, in Saqiz, Bana and Ushno, in Persian Kurdistan, in Jezira, Nisebin, Mardin and Diyarbakr in Turkish Kurdistan and in Qamishle in Syrian Kurdistan. Jews lived as well in hundreds of villages in the rural and tribal area of Kurdistan, usually one or two families in a village, where they worked as weavers of traditional Kurdish clothing or as tenants of the agha, landlord, the head of the village. 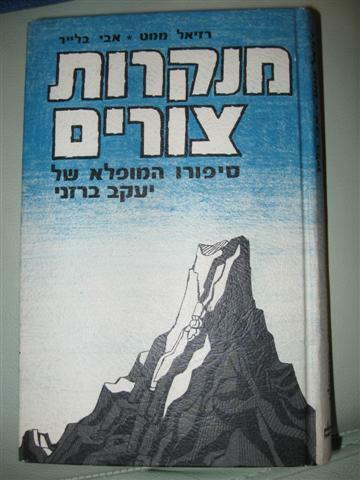 Recently, an important book came out, by Mordechai Zaken, describing the unique relationship between Jews in urban and rural Kurdistan and the tribal society under whose patronage the Jews lived for hundreds of years. Tribal chieftains, or aghas, granted patronage to the Jews who needed protection in the wild tribal region of Kurdistan; the Jews gave their chieftains dues, gifts and services. The text provides numerous tales and examples about the skills, maneuvers and innovations used by kurdistani Jews in their daily life to confront abuse, extortion and of greedy chieftains and tribesmen. The text also tells the stories of Kurdish chieftains who saved and protected the Jews unconditionally. - Wikipedia Mordechai Zaken , Jewish Subjects and Their Tribal Chieftains in Kurdistan: A Study in Survival, Brill: Boston and Leiden, 2007. 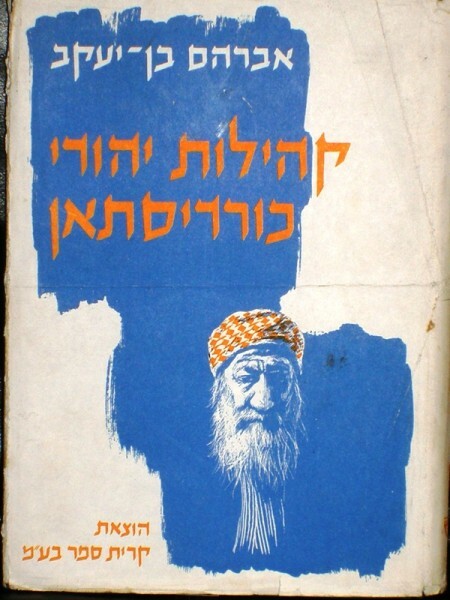 This book is Based on new oral sources, carefully analyzed, and explores the relationships between Jewish subjects and their tribal chieftains in Kurdistan, focusing on the patronage and justice provided by the chieftains and the financial support provided by the Jews to endure troubles and caprices of chieftains. New reports and vivid tales unveil the status of Jews in the tribal setting; the slavery of rural Jews; the conversion to Islam and the defense mechanisms adopted by Jewish leaders to annul conversion of abducted women. Other topics are the trade and occupations of the Jews and their financial exploitation by chieftains. The last part explores the experience of Jewish communities in Iraqi Kurdistan between World War I and the mass-migration to Israel (1951-52). The author, Mordechai Zaken, Ph.D. (2004) in Near Eastern Studies, The Hebrew University of Jerusalem, specializes in the history of the Kurds, the oriental Jewry, and the minorities in the region. He served as the Adviser on Arab Affairs to the Prime Minister of Israel (1997-99). ***** Yardena (Hebrew: ???????????) is a moshav in the Beit She'an Valley in northern Israel. It is located about 8 miles north of Beit She'an, adjacent to Beit Yosef. It belongs to the Valley of Springs Regional Council. Yardena was founded in 1952 by immigrants to Israel from Kurdistan. It is named "Yardena" because of its proximity to the Jordan River, which is called the Yarden river in Hebrew. **** Beit Yosef (Hebrew: ????? ???????) is an moshav in the northern Israel's Beit She'an Valley. It belongs to the Valley of Springs Regional Council, and is located about 8 km north of Beit She'an, adjacent to Yardena. History Beit Yosef was founded in 1937 as a Tower and stockade settlement, but it was abandoned during the Israeli War of Independence after it was severely attacked by the Jordanian Arab Legion and Iraqi Army. The moshav was founded anew in 1951 by immigrants to Israel from Kurdistan and Iraq. It is named for Yosef Aharonovitch, who was an influential figure in the Labor Party. **** Yehoshua Zamir of Kibbutz Ein Dor passed away November 14, 2002. Yehoshua Zamir was a founder of MidEastWeb and a friend of peace, who devoted the latter part of his long life to Arab-Israeli peace, after his son, Yaron was killed in the assault on the Beaufort in the 1982 Lebanon War. For Yehoshua, achieving peace was a central goal of Zionism, part and parcel of the same pioneering ideology that brought him to Israel as an illegal immigrant in 1945, where he settled at Kibbutz Ein Dor. Yehoshua's one man campaign for peace was based on the theme, "Survival is Not Enough." He published two books on the Web: the diary of his son Yaron, and his own diary and thoughts about how to achieve peace, Survival is Not Enough. He was an accomplished photographer who illustrated the book, "Ani Kurdi" and used his skills to make a documentary film about peace and mourning for victims of the conflict, which was shown on Israeli television. Yehoshua was a friend, a partner in building MidEastWeb, and an inspiration to anyone searching for a human way to peace. In a very real way, MidEastWeb is part of Yehoshua's vision and legacy. Below is his letter to Israeli PM Menachem Begin, written shortly after his son died, and eulogies of friends.